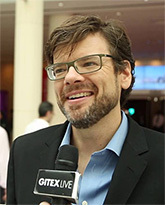 James Barrese is chief technology officer at PayPal. In this role, he is responsible for providing a world-class payments platform and technology infrastructure that powers PayPal's innovative payment products and services for its merchant partners and millions of account holders worldwide. James has deep experience in building innovative new products, large-scale systems, and strategic platforms. Having served in a multitude of technology leadership roles at eBay and PayPal, James' most recent position was as vice president, PayPal Global Product Development. Working at eBay since 2001, James led the strategic re-architecture and scaling of eBay, along the way building world-class teams developing the open platforms, infrastructure, software, analytics systems, and site operations that power the world's largest marketplace. Before joining PayPal and the eBay family of companies, James was vice president of Engineering at e-philanthropy company Charitableway. Prior to that, he held positions with Anderson Consulting and Stanford University. He also served in the U.S. Army. James graduated from Stanford with a bachelor's degree in Mechanical Engineering.